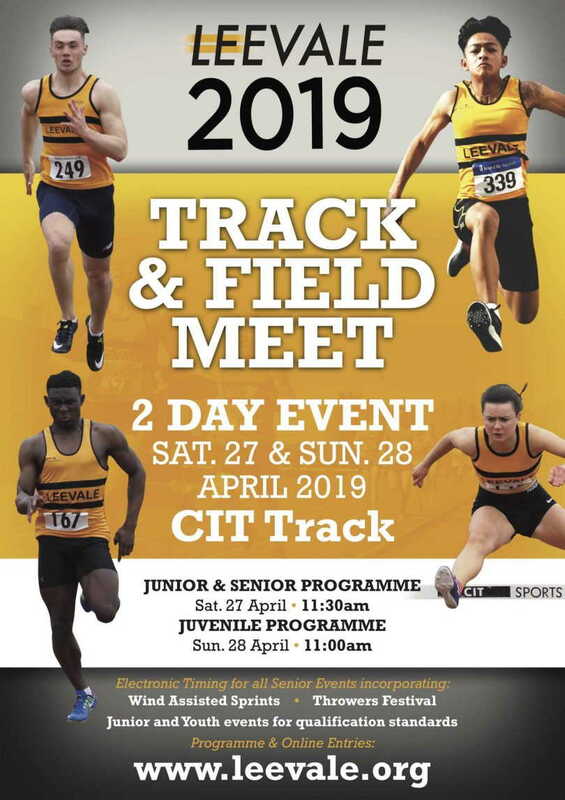 The Leevale 2019 T&F Meet will take place the weekend 27\28 April at CIT. This is the weekend after Easter and a week before the outdoor championship season starts. Full programmes of events are now available for both days. The juvenile programme is on Sunday 28th, and is a great day to get younger athletes involved in competition in a relaxed, fun environment. Please note that athletes competing in the juvenile programme do not need to enter in advance; just turn up and compete!